In Books Tagged In Africa, African American, Arusha, Baraka Books, Colonialism, Genocide, ICC, ICTR, ICTY, Imperialism, International Criminal Court, International Criminal Justice, John Philpot, NATO, Refugees, and Rwanda. An aura of respectability hovers over international criminal tribunals. “Undeservedly,” say many practitioners who bring to bear hard facts and penetrating analysis. African jurists, who are rarely consulted, describe the nearly exclusive focus on Africa as “demeaning,” “condescending,” and “neo-colonial posturing.” International criminal law has also been touted as a means to fight impunity and to achieve peace and reconciliation. Yet most practitioners see it as a “monument to impunity,” an impediment to peace and reconciliation or war by other means. For the first time in a book, defence counsel, investigators, journalists, and academics pool their knowledge and experience to answer the burning questions. What has happened to the fundamental principles of the sovereign equality of nations and the right of self-determination? Why do international criminal tribunals target Africa? How has international criminal justice affected the lives of citizens throughout the world? What about universal jurisdiction? Does foreign policy trump justice? The seventeen essays in this broadly scoped collection are grouped in four parts: 1) International Criminal Justice in the Eyes of Africans and African Americans; 2) The ad hoc International Criminal Tribunals; 3) Universal Jurisdiction … in a Single Country; 4) Justice for All? Contributors include Chief Charles A. Taku, Michel Chossudovsky, Glen Ford of the Black Agenda Report, Théogène Rudasingwa, Jordi Palou-Loverdos, Philippe Larochelle, Beth S. Lyons, André Sirois, David Jacobs, Fannie Lafontaine, Phil Taylor and more. 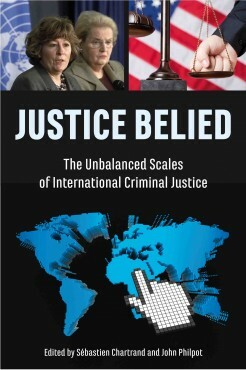 Justice Belied marks a turning point in understanding how tainted international criminal justice undermines political solutions and imposes superpower dictat. Listen to contributor David Jacobs discuss Justice Belied with Phil Taylor on the Taylor Report. John Philpot has thirty years’ experience as a criminal defence lawyer, including twenty in international criminal justice. 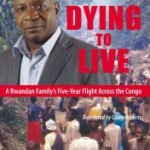 He has represented clients before the International Criminal Tribunal for Rwanda, including the Appeal Court in The Hague, and the International Criminal Court. Sébastien Chartrand has worked primarily in international criminal law since becoming member of the Quebec Bar. He has been legal defence assistant in cases before the International Criminal Tribunals for Rwanda and the Former Yugoslavia. He earned his law degree from the Université du Québec à Montréal.